Reproduction is a key step of a species life history and includes a suite of strategies and tactics enacted to allow the maximization of reproductively active offspring in relation to available energy and parental life expectancy. Gender system, oogenesis pattern, maturation schedule, shifts in habitat utilization, spawning seasonality, mating behavior, and fertilization pattern are among the traits involved in the process of species adaptive optimization of reproduction. In this frame, here we review the reproductive traits of the Antarctic silverfish (Pleuragramma antarctica) based on the available macroscopic and histological data. Then, we will step forward by focusing on two aspects of this species’ reproduction: (i) skipped spawning; (ii) potential location of reproduction sites along the Antarctic coasts. 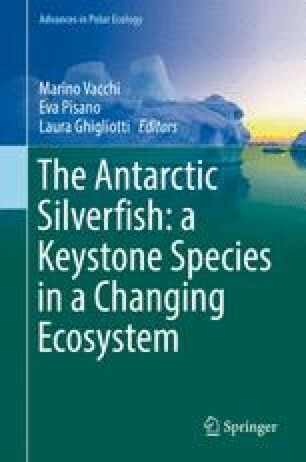 This work is also intended as a tribute to the memory of Tatiana I. Faleeva who greatly contributed to the knowledge on the reproductive biology of the Antarctic silverfish.